Homemade Gluten Free Graham Crackers made whole grain and low fat! After making my Whole Wheat Graham Crackers I wanted to bake the gluten free version as soon as possible. And let me tell you, you can’t even tell these are wheat-/gluten-free! 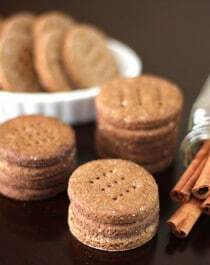 These gluten free graham crackers are sweet, crunchy and completely addictive, just like the boxed crackers that you’d find at the grocery store. 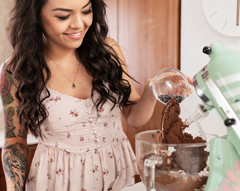 Except these are homemade, made with love and care, and are much better for you (made without artificial sweeteners, artificial flavorings, trans fats and preservatives)! Healthy Homemade Gluten Free Graham Crackers made low fat and low sugar! Perfect for snacking, dipping, cheesecake crusts, s'mores, and more! 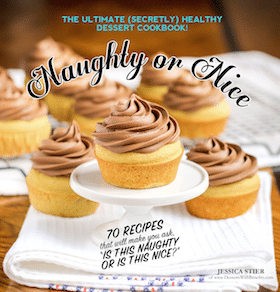 In a medium-sized bowl, whisk together the oat flour, brown rice flour, erythritol, cinnamon, baking soda, xanthan gum and salt. In a large bowl, whisk together the egg, maple syrup, molasses, applesauce and oil. Dump in the dry ingredients and fold together. Knead the mixture until you get one solid dough ball. Roll out the dough on a floured surface (I taped down a square of parchment paper onto my counter) until a little less than ¼" thick. Use a cookie cutter to form the cracker shapes and transfer onto the prepared baking sheet. Bake for ~10-12 minutes, then transfer onto a wire cooling rack. Reroll the dough until all the dough is used up. You’ve gotta give this recipe a try. 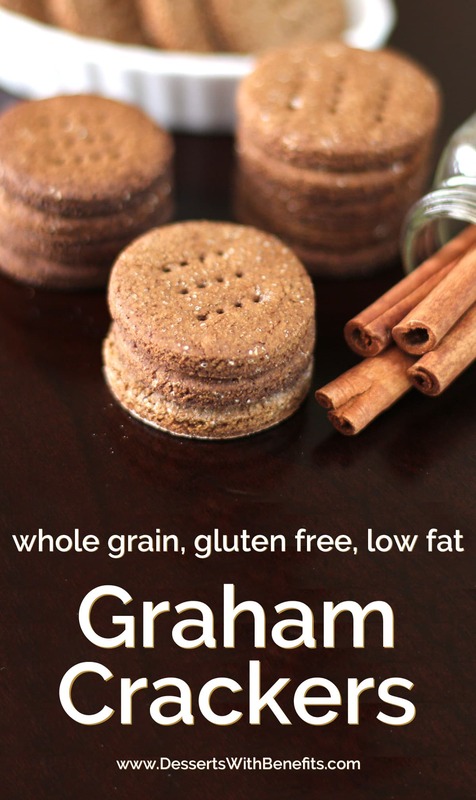 These gluten free graham crackers are both healthy and tasty! 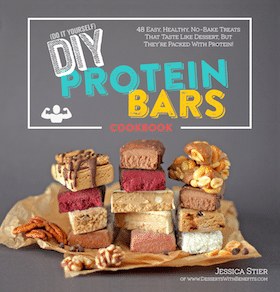 Mmmm these look good, I’m curious to try a vegan version without the egg, I know they may have trouble holding together…but maybe a good dose of chia seed will do the trick? I think graham crackers are similar to Digestive Biscuits we have here in the UK. I’m pretty sure a flax egg or chia egg will work, as long as the dough rolls out nicely it should turn into decent crackers/digestive biscuits. P.S what do you use to produce your nutrition stats label? Also, does it calculate it pretty accurately? Yum! I love graham crackers!!! Hi, Jessica! Could you please consult me a little?) If i want to omit molasses and maple syrup (as the crackers turned out pretty sweet to my taste with only erythritol, besides i don’t have them), what should i do in that case? I substituted them with additional applesauce but in the end they were a bit chewy, not crunchy. Any advice? anyway thanks for your blog, it helps a lot! If you want to omit the molasses and maple syrup, I would recommend replacing the two ingredients with 1-2 tbs of water. Hopefully the next batch works! I rarely ever see GF recipes that sound appetizing, but your recipe does and I’m going to give it a try. Thank you! THESE LOOK AWESOME!! Question: is the oil necessary or can it be subbed for something? Thanks!